Hey everyone. I hope you all doing great! 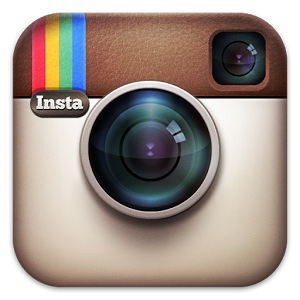 AVAILABILITY: On Ebay, local cosmetics shops and markets nearby. TEXTURE: The texture is fine and smooth. It does not hurt your eyes while applying and gives a nice finish. But for the beginners, it will be little harder. Also it will be slightly difficult for you if wanna achieve thin lines to draw on your eyes. 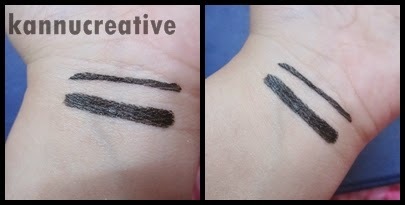 Hold the pen really carefully and apply it as regular eye liner. For soft look, just apply a stroke and done. For bold look, go on with it at least 2-3 times. To remove, just use some damp cotton and makeup remover, you're done. PACKAGING: The product have a sturdy packaging with a black body and font in silver color. 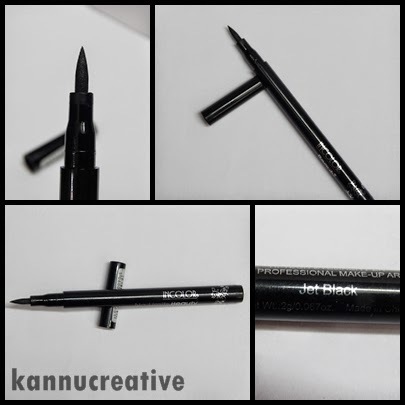 As you will roll down the pen, you can see all the details of the product with the brand's name and logo, product code and the shade. Nice and elegant finish to your eyes. Difficult to get thin lines. Can be little difficult for beginners. 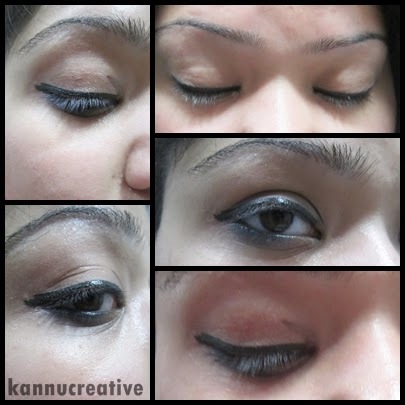 Do share your views on this eye liner in the comments below. Have you tried it? If yes, then what is your take on it? If not, will you give it a try? Nicely reviewed dear, thanks for letting us know about this nice liner at such a great price.